Diners may be presented with two bills at some places -- one before and one after midnight when the Goods and Services Tax (GST) kicks in. New Delhi: With the launch of the Goods and Services Tax or GST, those eating out tonight may find themselves caught in minor disputes over payments, if they stay on past midnight. Diners may be presented with two bills at some places -- one before and one after midnight. With a single tax replacing the current system of multiple taxes, eating out may become cheaper, but restaurants are looking at ways to bill their midnight diners tonight. 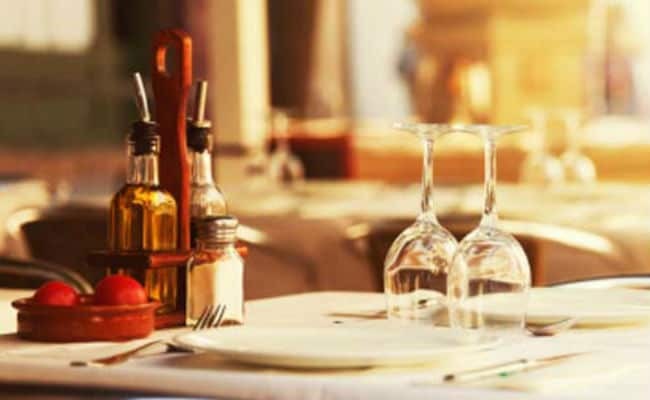 At The Leela Ambience Convention Hotel, dining will become cheaper with the implementation of GST, with a 20 per cent tax on alcohol and 18 per cent on food, as opposed to the current 26 per cent and 18.5 per cent, respectively. To clear confusion tonight, Executive Chef Rohit Tokhi said, "Our restaurants close by 11:30 pm and all bills will be raised before 12 am." Food and beverages consumed before midnight at the hotel bar would be billed by 11:58 pm, he said. "Any consumption post-midnight would be charged under the GST," Mr Tokhi said. Gurgaon's Bristol Hotel will be taking final orders at 11:45 pm today, and the bill will be raised before midnight using the old Value-Added Taxes and service taxes. However, should a diner wish to stay past midnight, the bill will then be raised under the GST. "We are following the same regulations for both F and B (food and beverages) and our rooms," a spokesperson of the hotel said. Priyank Sukhija, who owns several food chains in Delhi-National Capital Region, including Lord of the Drinks, Tamasha and Teddy Boy, has decided shut all his restaurants before midnight, to "change billing software in accordance with the new tax structure". Although, under the new GST, the taxes applicable on air-conditioned and non-air-conditioned spaces will be 18 per cent and 12 per cent, respectively, Mr Sukhija said charges for AC restaurants would be levied even if a customer dined outdoors.